The Bumbleride Indie offers a set of features that will meet most suburban and urban lifestyles and needs. It's a good-looking stroller, offering excellent maneuverability, a smooth ride, and ample storage. We were surprised to find in our testing, however, that many other strollers outperformed it in ease-of-use, safety, quality, and weight. While it looks like a jogging stroller, don't be confused. The manufacturer says in their FAQ page, "The Bumbleride Indie and Indie Twin are not true jogging strollers." It lacks the shock absorption and rolling stability we believe are required for safely jogging with your little one. While Bumbleride says you could use it for a "few miles a week of light jogging," we advise against it. If you are looking for a jogging stroller, we encourage you to take a look at our Jogging Stroller Review instead. Rating 7 of 10 in this category, this is a fine stroller for those that like to stroll out of their front door to take baby for long walks, shopping, or to a local coffee shop. In these situations, it is at its peak performance. This stroller does average in folding, taking 5 steps and two hands, and the folding lock is hard to engage. It has a shaky self-stand. It's a relatively lightweight stroller with a medium-sized fold. However, it is bulky and its folded thickness makes it difficult to fit into and get it in and out of the trunk of a car. Unfolding is quick and easy though, a 2-step process: unlock it and shake it out until you hear it click into place. The padded with wide height adjustability with a min-max of 25.5" to 44.3" so it will work well for both short and tall people to push. However, we did find that a tall person is more likely to have issues kicking the axle while pushing. The seat recline mechanism is not that easy, and requires two hands. The seat has a min-max recline of 8-61 degrees. Full recline provides a nice nap spot, however, a bassinet is also available for $160. With the full upright angle being only 61 degrees, if your toddler prefers to sit more upright, this stroller may not work out well. In addition, the seat unfortunately does have a short height of 20", so your child may outgrow this stroller sooner than others. The canopy has SPF 45, UV blocking. It is large with nice coverage for low angle sun. There's a mesh peek-a-boo window for checking in on baby, and the back can zip open for further ventilation, but the canopy itself can be a bit stiff to adjust. Storage is a big plus for the Indie. The basket is very large, easy to fit a large diaper bag into, and easy to access. It is very practical to go shopping with it, skipping the use of a shopping cart, since the basket can hold so much stuff. There is not a parent or child tray, but the back of the canopy has a small pocket which would fit keys and a cell phone. Unlike the very similar looking BOB Revolution SE, the Indie does not have any convenient child storage pockets in the seat. The stroller does include a cup holder though it is complained about frequently in user reviews which we agree with. It if pretty flimsy and sticks out from the side like a sore thumb, getting caught on things while strolling by. Consider the optional Parent Pack for $25 as a useful upgrade. Earning the highest score of 9 of 10 in this category, along with the Editors' Choice Award BOB Revolution SE and the Best Value Award Baby Trend Expedition, the Indie is pretty compact and really easy to push and to turn. In fact, of all the 21 strollers we tested side-by-side, it was the easiest to steer. The larger 11.25" pneumatic wheels take the edge off of bumps in the sidewalk, and cruise across non-paved surfaces such as gravel, grass, or dirt that strollers with small hard wheels can't handle. However, when we tested the Indie on curbs and stairs, we kept having the sensation that the handlebar might break. As we discuss in our stroller Buying Advice Guide How to Pick a Stroller that is Right For You, we are admitted fans of larger pneumatic wheels, despite the implicit risk of getting a flat. Why? Because the ride is so much smoother for baby, and pushing over any surface is so much easier. While a flat tire may rarely occur, it is unusual: most parents will never have a flat (although everyone will need to reinflate the tires periodically). The alternative of using a stroller with no-flat tires means a more bumpy ride every day, and big loss in maneuverability. When it comes to working your way through tight aisles, or crowded sidewalks, the light weight of the Indie and its pneumatic wheels combine to make things really easy. One-handed operation is a breeze, which is great for anyone pushing the stroller, but crucial if you are a dog owner trying to walk dog and baby at the same time. In addition, the normal urban hazards of curbs, stairs, bumps, and unpaved sections are all elegantly overcome. In contrast, most traditional strollers with hard rubber (or worse, plastic) tires that are only 4" to 6" diameter, get so bogged down in grass, gravel, or rough dirt sections that carrying baby and stroller may be required. The cup holder is frequently criticized for being too easy to catch on doorways. The Indie is relatively narrow, at 24.5 inches wide, and we consider its performance to be excellent in our supermarket aisle tests. One frustration in tight spaces is that the cup holder sticks out to the side, and many Indie users knock it off when going through narrow doorways. The front wheel can be locked, which helps make it easier to push over non-paved surfaces, and is required if you use it for light jogging, though our opinion is that jogging with the Indie is not a good idea. However, most of the time you'll leave the front wheel unlocked, so it can swivel 360 degrees and makes maneuvering simple. 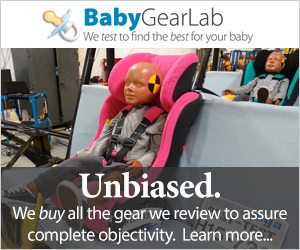 This stroller scored a 6 of 10 in Safety. We found the brakes to be adequate, but stiff. The five-point harness system is easy to operate and amply padded. Overall, the 5-point restraint harness is easy to buckle and unbuckle, and amply padded. Adjusting the shoulder straps takes some extra effort. It performed average in our sideways tip over test, but was the third most likely stroller to tip over backwards taking up to 17 lbs 4 oz on the handlebar. However, it is not recommended to hang any weight on the handlebar of any stroller due to this very risk. The Indie did just above average in Quality/Durability with a score of 7 of 10. Overall, materials are nice with some nice eco-upgrades which we describe below. The frame is made of anodized aluminum. The canopy material is nice and heavy, but the operation of the canopy is quite stiff. Contrarily, we feel that the frame connections are a bit loose. As mentioned above, we felt like the handlebar needs to be sturdier. We were also experienced a faulty snap on the storage basket out-of-the-box. This stroller does have a very nice 3-year warrantly, like the Stokke Xplory. We like the fabric materials which were upgraded in 2013. The outer material is a durable polyester weave that is 50% from recycled materials. The inner material is polyester infused with 50% bamboo charcoal that Bumbleride claims has, " excellent natural qualities like moisture absorption and temperature regulation which helps to prohibit bacterial growth in the seating area of your stroller." We find the inner material to be soft and both fabrics to be of high quality. The Indie scored average with a 6 of 10 in our Weight/Folded Size metric. With a lighter-than-average weight than many strollers in our tests of 21 lbs 15 oz, the Indie is medium-sized when folded. Loading it into and out of a car is a bit of a mixed bag. On one hand, the stroller is easy to fold, and is relatively lightweight, but on the other hand, it is bulky due to the larger wheels. If your needs require you to frequently load/unload from the car before strolling, then the bulk of the Indie may get frustrating and offset it's performance once the strolling begins. Quite bulky when folded, the Indie does not self-stand. The manufacturer's suggested maximum weight for passengers is 45 lbs, which means an average weight boy can use it until age 5 1/2, and an average girl until age 6. However, the seat height is only 20" so it is likely that a child will outgrow it much before these ages. However, we consider the Indie capacity adequate for the prime stroller use years, but it is worth noting that the capacity of the BOB Revolution SE is 70 lbs (although the stroller does weigh in around 3 lbs heavier) with a seat height of 21". The Indie had an ease-of-Set-up score of 3 of 10, taking us 20:07 (min:sec) to put together. We felt documentation was poor in that the pictures aren't great and are without a lot of supporting text. For a higher-end stroller, we were surprised to have an instructional brochure that appeared to be a black and white photocopy. We consider the Indie to be a fine choice for the suburban or urban mom who primarily uses the stroller straight from their front door. In that situation, the advantages of smooth rolling, all-terrain capability, and large storage make for a terrific everyday stroller experience. Seat in full recline assumes a 20 degree angle for napping. Sunshade completely open. If you are looking for a jogging stroller, we recommend looking elsewhere, and in particular at the BOB Revolution SE, which is very similar to the Indie, costs less, and is even more robust (albeit a bit larger, with 16 inch wheels in back and is 12% heavier). Those who frequently need to drive before strolling may find the Indie's bulk when folded taking up half the trunk space, a bit cumbersome. We'd recommend a smaller stroller, such as a lightweight umbrella stroller, instead. At $515 list, it is relatively expensive. However, we consider it a good value. Its quality is good and with a 3-year warranty, should offer solid performance over years of use. Bumbleride has a very good reputation for customer service, and you can expect them to stand behind the product should something go wrong. The Indie holds its value well too, and typically resells for $150 - $250 used. So, you may be able to recoup much of your investment by selling it down the road. It holds its own, both in terms of style, and even more so in performance, with top-of-the-line strollers like the Bugaboo Cameleon 3 and Stokke Xplory, yet costs hundreds of dollars less. For most parents needs, we consider the Bumbleride Indie to be an ideal combination of ease-of-use, maneuverability, and storage. We love the smooth ride and easy handling, and for us, that more than offsets the bulk when folded in the back of the car. While premium priced, it delivers better performance than competing top-of-the-line strollers, and thus retains high resale value.